We’ve all been there in our younger years: cut eyeholes out of a sheet, throw it over yourself and roam the hall pretending to be a ghost. But despite Casey Affleck’s character looking the quintessential trick-or-treater, A Ghost Story delivers a haunting and ephemeral existential tale rather than cheap jump-scares. Early in the film, Affleck’s character, C (the protagonists being named by a single initial), dies and returns as the aforementioned sheet-clad ghost. 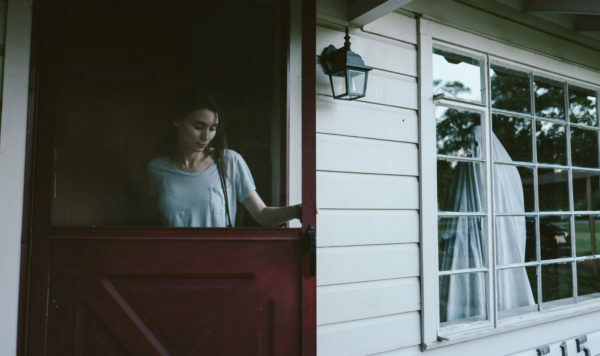 Still and solitary, he haunts every frame of the film, sadly observing his grief stricken lover, M (played by Rooney Mara) move out of the house he loved so dearly. Years pass and C’s ghost remains stubbornly fixed to the land, silently observing the house’s various occupants come and go. Thematically, A Ghost Story traverses many topics but its core is rooted in a solid sense of place and examines what it means to be attached (both physically and emotionally) to a piece of land. It is little surprise then that the story was born out of an argument director David Lowry had with his wife about moving house. Lowry elides time beautifully as he succinctly shows years of tenancy compressed into minutes. Meanwhile, C’s quest to retrieve a mysterious note that M slipped into a crack in the wall soon after his death remains tantalisingly just out of reach – the note being the film’s central plot device and providing the only semblance of conventional narrative structure in a story that is otherwise very meditative in its intention. Certainly a far cry from his previous directorial outing, Pete’s Dragon, Lowery has delivered a slow burn that is painstakingly meticulous, indulgent and patient. There is a palpable sense of David Lynch or Terrence Malick in Lowry’s aesthetic scope; the long takes, the camera’s limited but very deliberate movement, the culmination of which projects an almost unbearable dreamlike sense of loneliness. A five-minute continuous take of Rooney Mara’s character alone in her kitchen eating an entire pie sums up the film’s approach. Mara delivers a tour de force of non-verbal acting in this scene that is simultaneously rewarding and frustrating. It will have you scratching your head along with the film’s other elusive messages about relationships, grief, mortality and the ruthlessness of time… but, boy, it’s wonderful to watch. 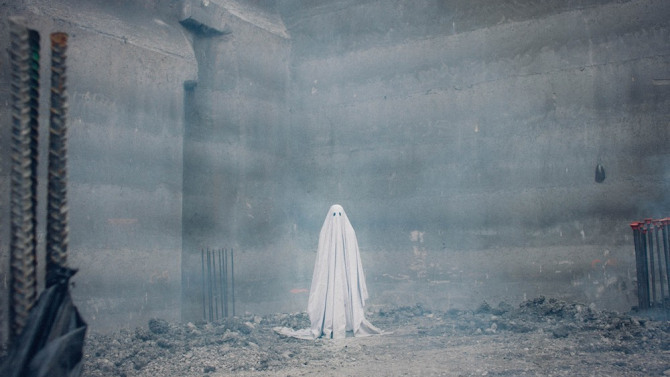 A Ghost Story may not be for everyone – it requires a great deal of patience and a willingness to embrace the unconventional – but put in the effort and you’ll be rewarded with a film that is both original and sublime.